WOW!! Get 10 packs of Sunflower Seeds for only $1.50!! Wiz Clipz has a 10-pack of $1 off a Planters Product coupon for only $1.50 (includes shipping). There is no size restriction on the coupon. Use the coupons at Dollar General and they are free!! Your total out-of-pocket is $1.50!! These are great snack items – include them in a lunch bag for school or take them to work. I didn’t check on the price of other types of nuts, but I bet you could get a really good price on them with this coupon! Not sure how long these coupons will be in stock, so buy them now!! 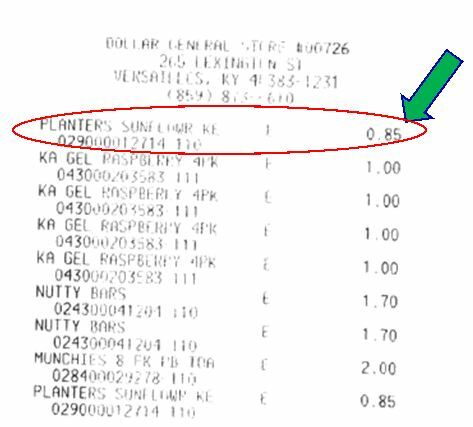 Note: Dollar General doesn’t provide an overage on coupons – the amount of the coupon will be adjusted down to the amount of the product. You can read the Dollar General Coupon Policy for more details.